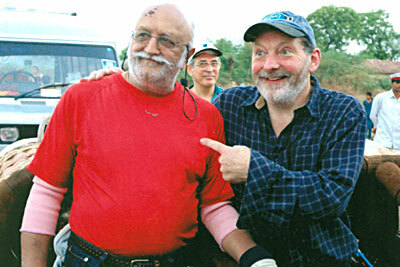 Dr Singhania started learning ballooning in January 2005 in Mondovi Italy. He passed his CAA license examinations for all ground subjects and flying in Italy. Thereafter, he set about the task of gaining experience and acquiring specialized knowledge from the best authorities in the field. People like Andy Elson, Colin Prescot, Paolo Bonanno, Don Cameron were a few that had exceptional expertise in the world of ballooning. All these exceptional balloonists had excelled in some field or another. Many precious hours were spent in learning the art from these masters. 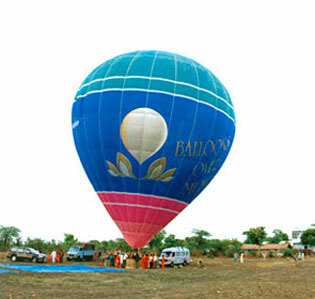 In April, 2005, Dr Singhania, did his first few flights in Palghar, a small town north of Mumbai, Thereafter, in Jalgaon and Mt. Abu. By this time it was early June and the monsoon fast approaching over peninsula India. On 13th June 2005 in spite of the scorching heat he set the Indian Altitude record from a village west of Ahmdabad. This he did in his own balloon G-BWVP a 160000 cu. ft. “Balloons over Mumbai”. When he was not flying he was evaluating and testing his burners and equipment with Andy Elson in his vacuum chamber, which was a monstrous contraption specially designed for this very purpose. After all breaking a world record is certainly no trivial matter.